The cover of the book, and the front entrance to The Sport Gallery. 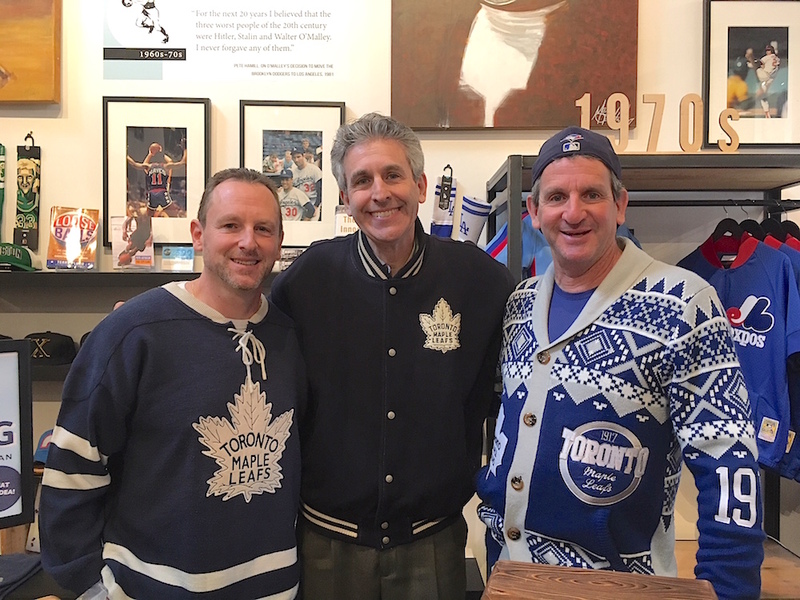 My brothers and I were suitably attired! 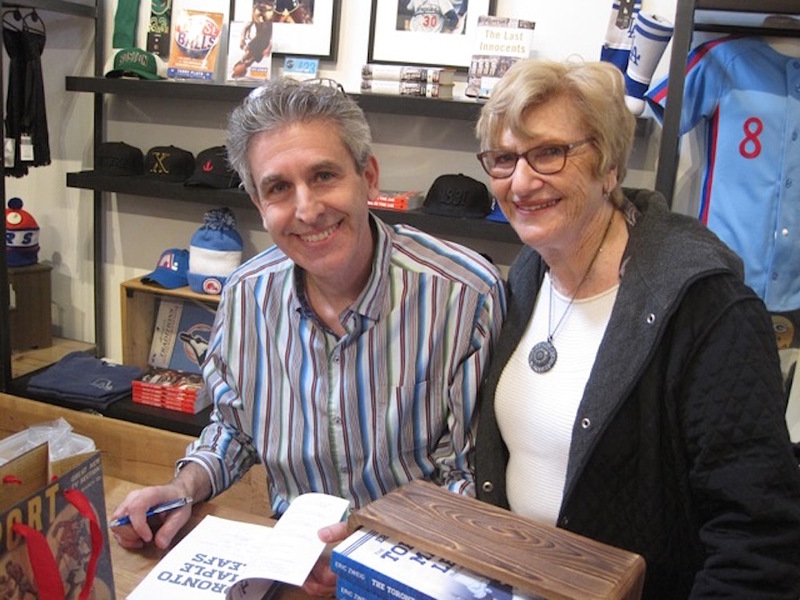 The author with his proud mother. 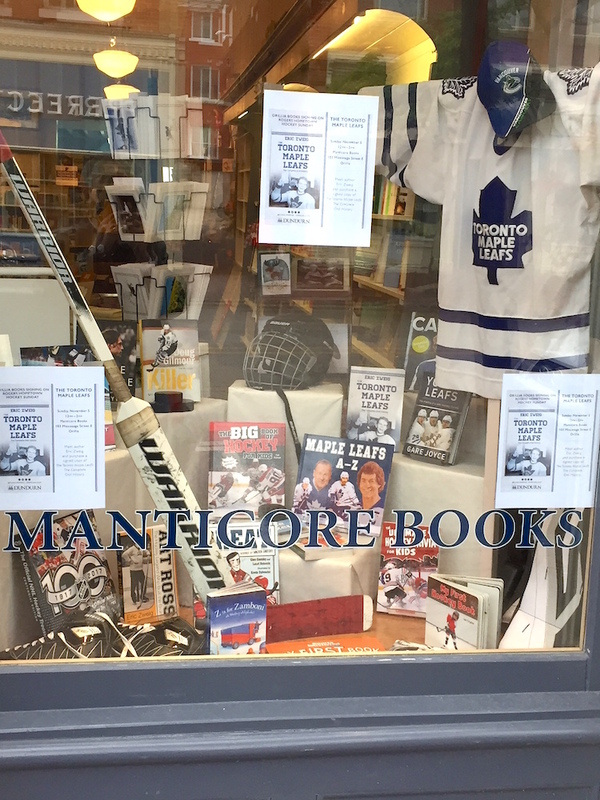 And from my signing at Manticore Books in Orillia. The front window of a very charming book store. Me with many of my books, both old and new. If you’re up for even more, you can check out the recent column by Andrew Armitage in the Owen Sound Sun-Times or my in-studio interview with Bill Murdoch on CFOS in Owen Sound. 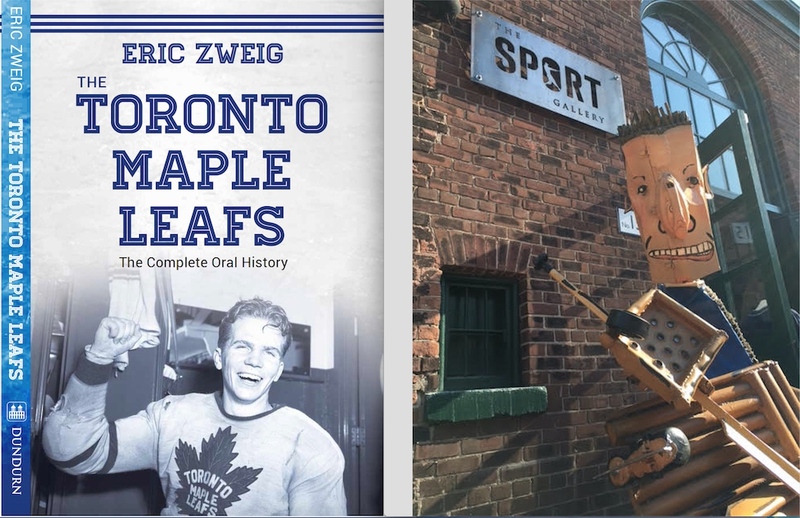 I was on with him for the full hour, which was a lot of fun for me but if that’s too much Eric Zweig for you, you can check out this much shorter phone interview on CFOS with Fred Wallace. 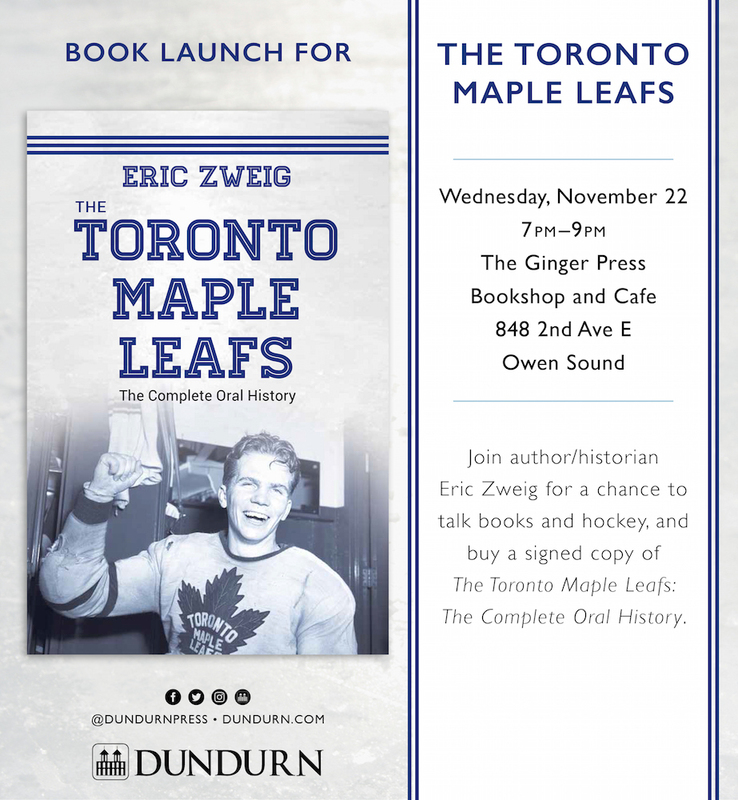 And if you’re in the Owen Sound area, I hope you’ll join us at The Ginger Press on Wednesday November 22 at 7 pm for some hockey-and-book talk. Should be a fun evening! 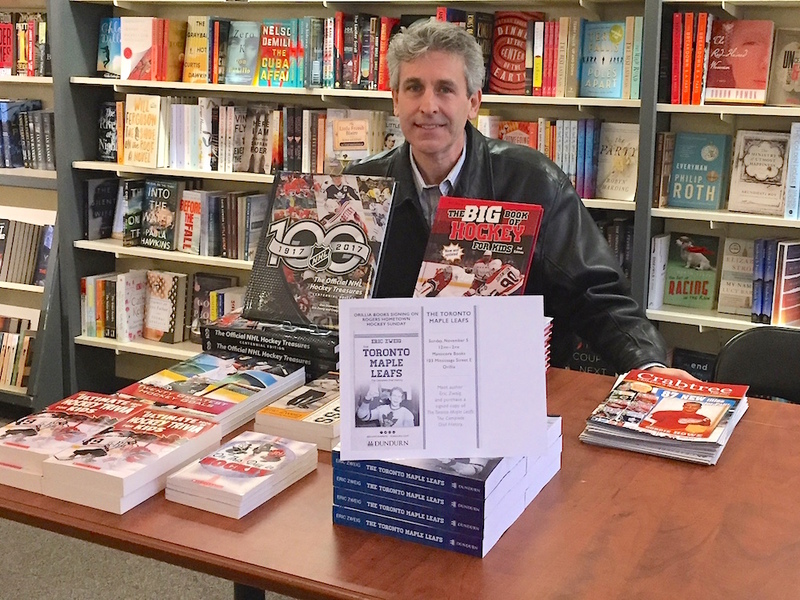 There’ll also be a signing at Book Lore in Orangeville beginning at 11 am on December 2. Eric, Im so sorry I just couldn’t make it to your book launch in Toronto. I would like to purchase your book as always and have you autograph it for me. Loved your pictures. All material on this website is (c) Eric Zweig, unless otherwise noted. Every effort has been made to trace and contact copyright holders. If there are any inadvertent omissions we apologize to those concerned, and ask that you contact me so that I can correct any oversight as soon as possible.